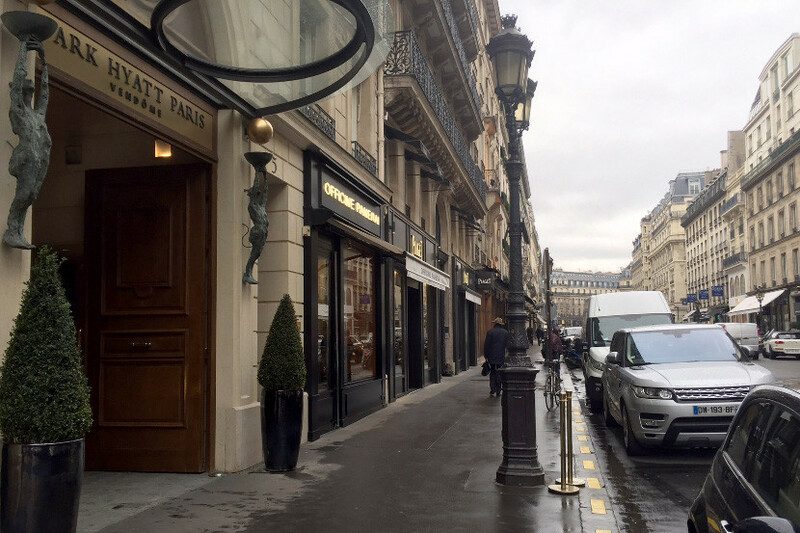 On a trip to Paris a few weeks ago, TPG Points & Miles Editor Sarah Silbert spent a few nights at the Park Hyatt Paris-Vendôme, a Category 7 property. Keep reading for impressions — and plenty of photos. 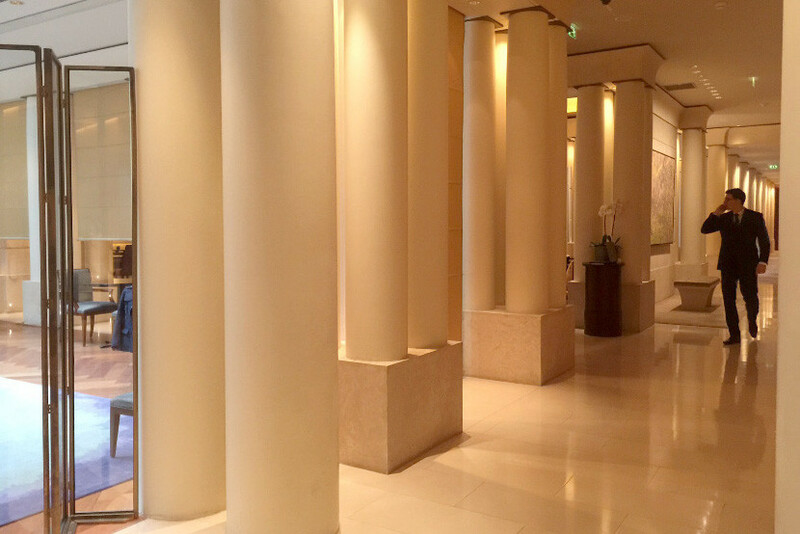 After exploring the south of France with the Grand Hyatt Cannes Hôtel Martinez as home base, my boyfriend and I headed to Paris, where we enjoyed a stay at the Park Hyatt Paris-Vendôme. TPG’s visited the property a few times over the years, and based on his reviews we were looking forward to checking it out ourselves. 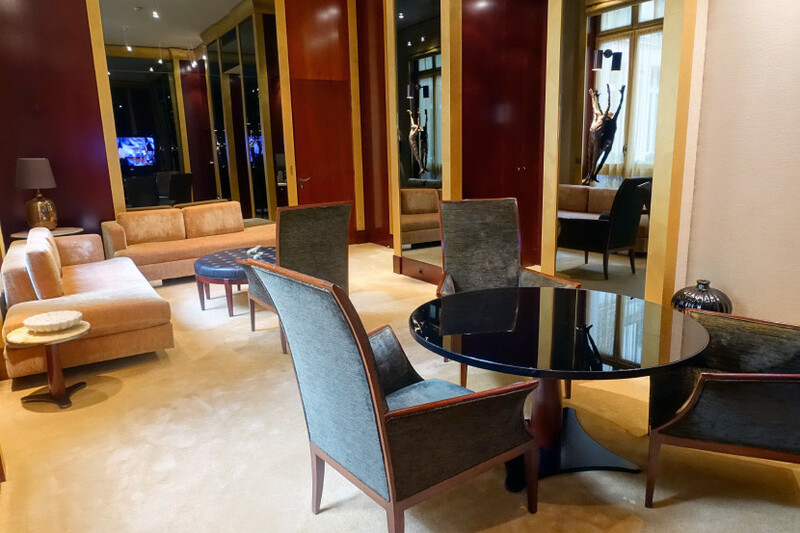 When we were able to score a huge Diplomatic Suite, we were even more excited! The Park Hyatt Paris-Vendôme is a top-tier Category 7 property, requiring 30,000 points per night for a standard room; 39,000 points per night for a Regency/Grand room; or 48,000 points per night for a base suite (not this one, unfortunately, but you may be able to add a cash co-pay to upgrade at check-in). Currently, room rates for a Park Twin room in late-May start at about 808 euros (~$879), so you’ll definitely want to consider redeeming points rather than paying cash for a stay at this property. You can transfer Chase Ultimate Rewards points earned with the Chase Sapphire Preferred Card to the Hyatt Gold Passport program at a 1:1 ratio. There’s also the Hyatt Credit Card, which offers two free nights at a Hyatt property after you spend $1,000 in the first three months of account opening. If you use those nights at a Category 7 property like this one, you’ll be getting hundreds of dollars in value. 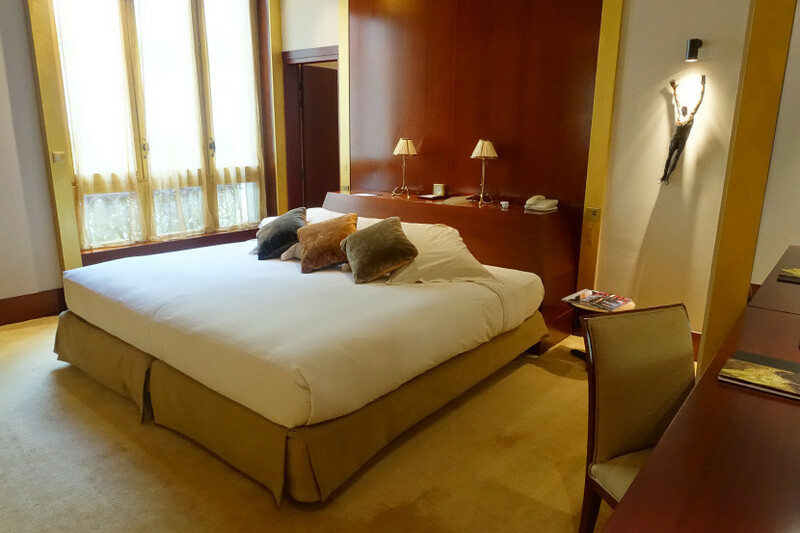 While points are usually the best option for a stay at the Park Hyatt Paris-Vendôme, we ended up booking four nights at 615 euros each. That rate was by no means cheap, but as always the Citi Prestige Card went a long way in making the reservation less expensive — thanks to the card’s 4th Night Free benefit, we only paid for three of our four nights. For more information on this card, see my post on maximizing its benefits in 2016. We were also able to stack that Citi Prestige perk with a Hyatt Suite upgrade since Hyatt Diamond members get four per year. 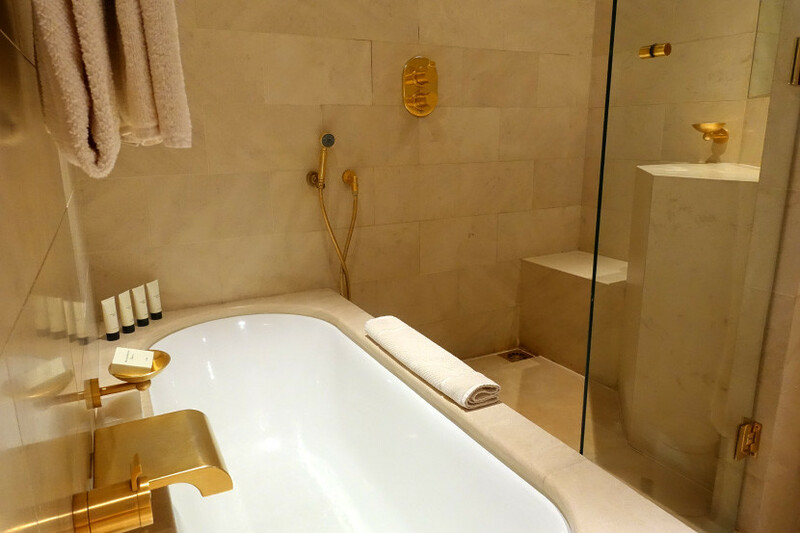 Plus, as you’ll see below, we were offered the amazing Diplomatic Suite for an additional (but relatively reasonable) fee, which almost certainly wouldn’t have happened if we hadn’t asked about availability at check-in. 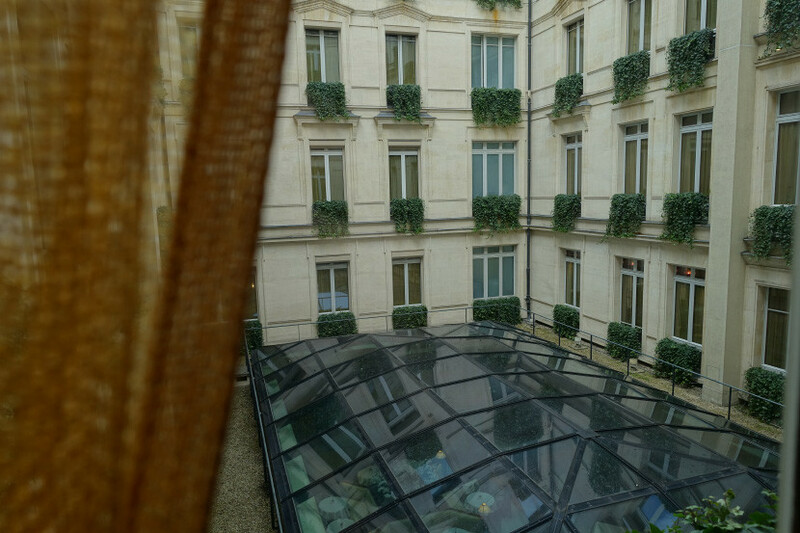 The property is located near the Tuileries Garden, and not far from the Louvre. After a quick Uber ride from Paris Orly Airport (ORY), we arrived at the hotel and the staff immediately offered to assist us with our luggage. 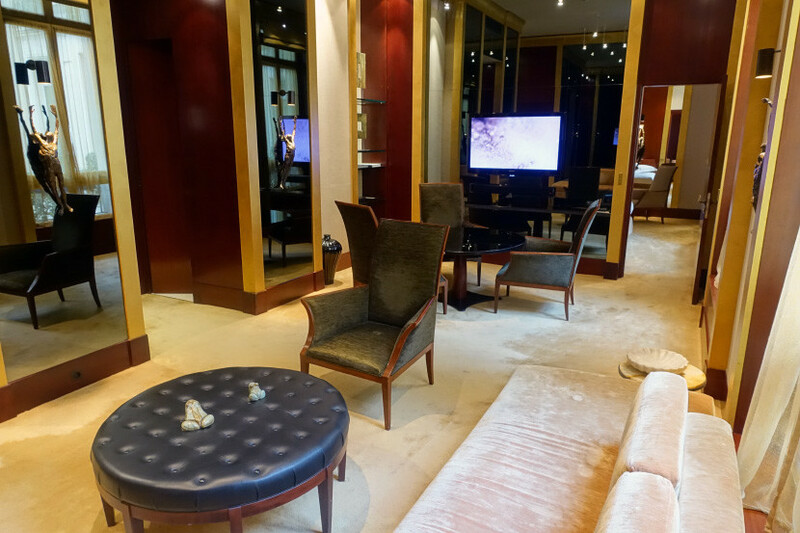 The musky signature Blaise Mautin fragrance created exclusively for the hotel hit us the moment we stepped into the lobby. There was no wait at the front desk and the friendly associate chatted with us about the Grand Hyatt in Cannes as she checked us in. A view of the lobby near the elevators. Thanks to our Hyatt Diamond suite upgrade, we were booked in a Park Suite. My boyfriend asked if any rooms with a separate working area were available, since the lowest-level suite doesn’t offer this. After a quick check in the reservation system, the associate informed us that none were available. She said she was going to look into one other possibility, and after disappearing for a few minutes she returned to inform us that we could upgrade to a Diplomatic Suite — upwards of 1,000 square feet — for an additional 200 euros a night. Not cheap, but definitely a steal for a room that normally goes for more than 2,500 euros (~$2,719) per night. We both felt a little put on the spot and more than a bit tempted. Given that we were staying over Valentine’s Day, we decided to splurge for the occasion, and boy, I’m glad we did! The living room area of the Diplomatic Suite. While it wasn’t a freebie, our room upgrade is yet another example of TPG’s motto, “It never hurts to ask.” Especially given the rainy weather and the fact that I got sick toward the end of the trip, having a comfortable, spacious room made all the difference — and we never would have had this option if we didn’t politely inquire about other options. The second-floor suite is huge and gorgeously decorated. 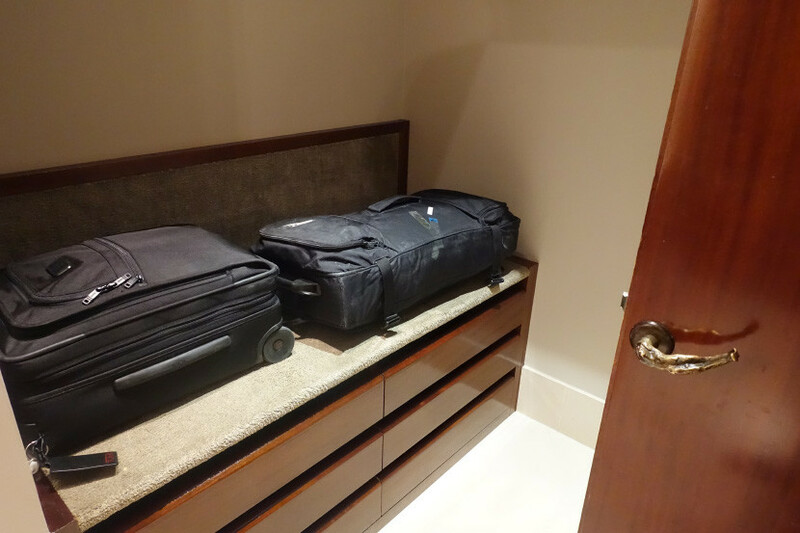 It appears to be a Deluxe room combined with a separate living area, with the difference being that the separate space isn’t blocked off to guests who reserve the Diplomatic Suite. The decor is ultra-sophisticated, as you’d expect at a Park Hyatt. While it’s much more European than the vibe at the Park Hyatt Tokyo, the rooms still have a Japanese-style simplicity. The main flourishes are bronze sculptures, which also serve as door handles for the bathroom. Especially with so much work to catch up on at the tail end of a long trip, we were very thankful for the spacious living room area. The sofa and table were comfortable places for us to catch up on email. 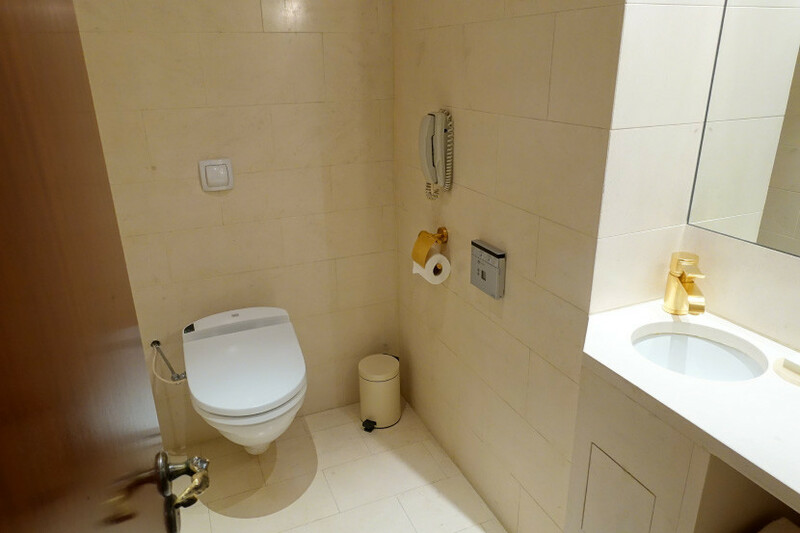 There’s a small bathroom in the living room section of the suite in addition to the larger one back by the bedroom. Since the Diplomatic Suite can technically sleep up to four, it’s nice to have two facilities. There’s a small bathroom in the living room. There were plenty of refreshment options in the living room, too. 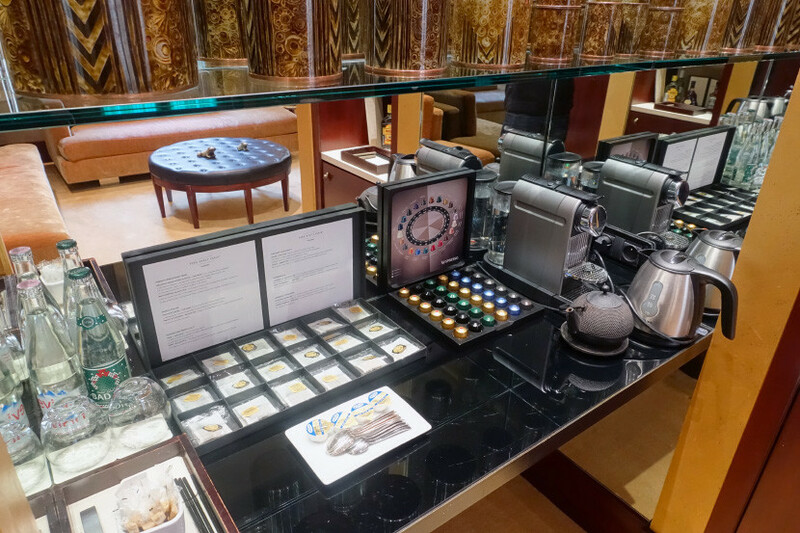 While most drinks entailed a charge (more on that below), the Nespresso pods and tea were complimentary. Complimentary tea and coffee in the living room. As for the bedroom, it was also quite spacious and comfortable. It shared the same minimalist, luxurious aesthetic as the living room, with plenty of decorative pillows thrown in. I loved the sculptures and the minimalist decor. In addition to the plentiful seating options in the living room, there were also a desk and a small table in the bedroom. The room overlooks an interior “courtyard,” and you can see the ground floor through a glassed dome. It’s very picturesque thanks to ivy hanging from every exterior window. The bedroom features a full bathroom, with a unique shower setup that’s separated from the rest of the bathroom by a step and a glass door. A large tub sits right next to it. The unique bathtub and shower setup. 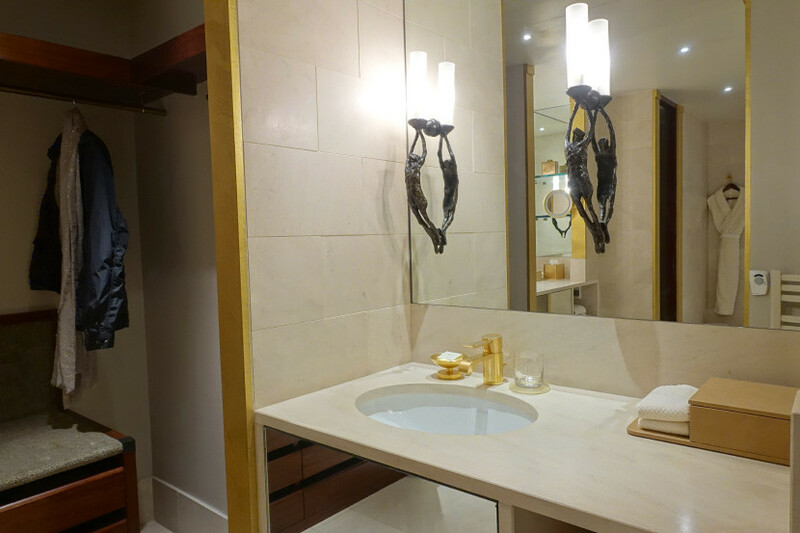 The bathroom was stocked with Blaise Mautin amenities, which smelled good, but not as strong as the scent in the lobby and hallways, which is good for allergy-prone guests. 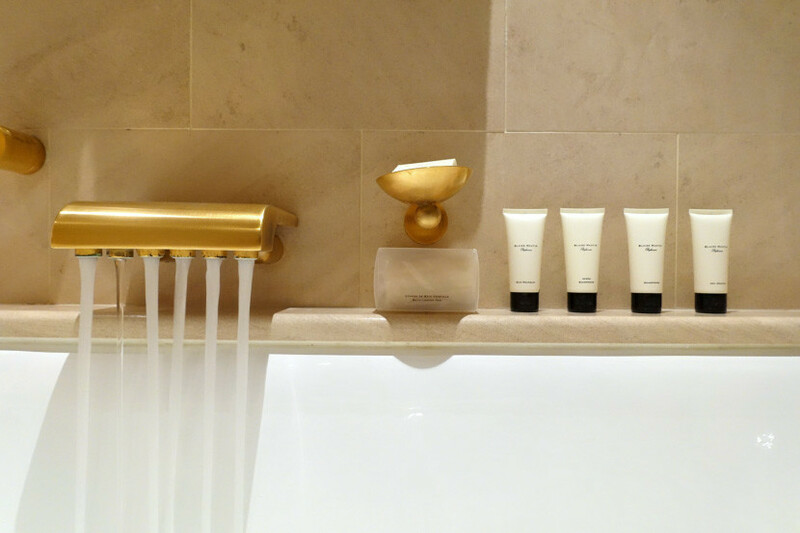 The room was stocked with Blaise Mautin amenities. On the far side of the bathroom, there were two separate storage areas — one with hangers and a closet and the other with space for luggage. It was more than enough room to stow our large checked bag. There was plenty of storage space for our checked bag and carry-on. Overall, the room felt spacious, comfortable and luxurious. Basically, I would trade it for my New York apartment in a minute. More storage space by one of the two sinks. Finally, there are two mini-bars in the Diplomatic Suite, and prices are unsurprisingly sky-high. A soda is 13 euros (! ), and a mini-bottle of Champagne is 66 euros. A bottle of Hennessey XO is also available — for 250 euros. 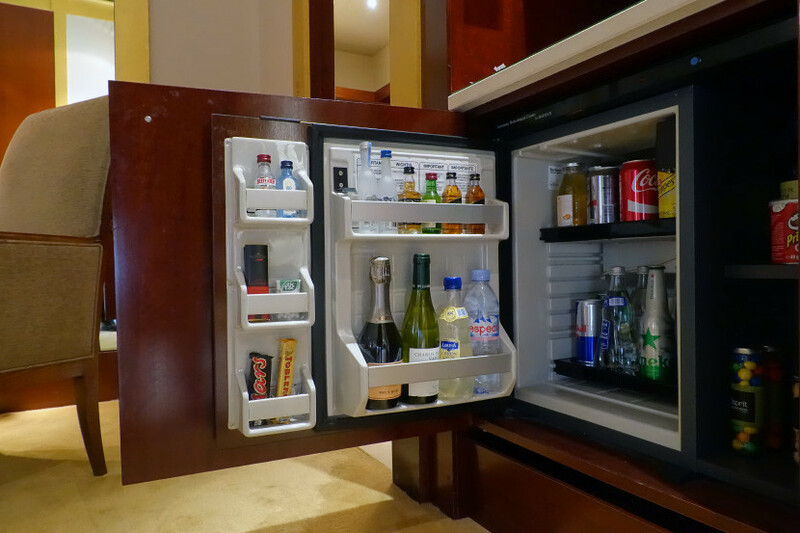 Skip the mini-bar, which is insanely expensive. A welcome gift of red wine and macarons. Even though we didn’t interact with the staff much, everyone from the check-in associate to the doorman was very friendly and courteous. 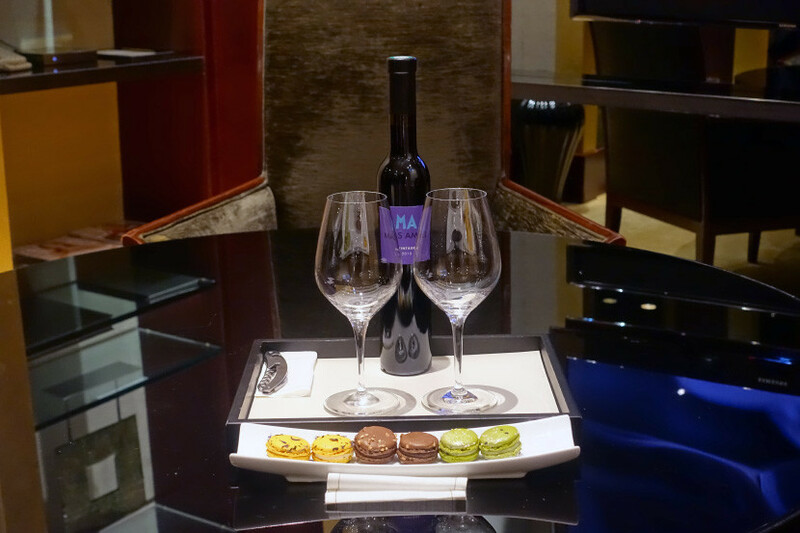 A few hours after we checked in, we received a selection of beautiful macarons and a half bottle of red wine, a nice welcome gift. We did take advantage of room-service breakfast, which was available to us for free as Hyatt Diamond members. We were able to order up to 100 euros worth of items each day, which wasn’t too hard given the hotel menu’s high prices. We actually did go over by a bit each morning, but we were only charged an extra fee one time, which the staff removed from the bill at check-out. The Champagne breakfast was my favorite — what a great way to celebrate our amazing room and our trip to a beautiful city! If I had deeper pockets, I would have splurged on a treatment at the spa, which uses one of my favorite French skincare brands, La Mer. The cheapest facial is 225 euros ($245), though — maybe next time! If you do feel like splashing out, though, note that TPG did enjoy his spa treatment when he when he visited in 2015. Another in-room breakfast — we really maximized this benefit. There are several restaurants and bars onsite, though we didn’t try out any on this trip. The options include Les Orchidées (off the lobby), The Chef’s Table, Pur’ and Le Bar. The Les Orchidées Restaurant is located just off the lobby. There’s also a very cute, Swiss chalet-style bar and restaurant that’s outside — I’m sure it’s amazing when the weather’s nice. 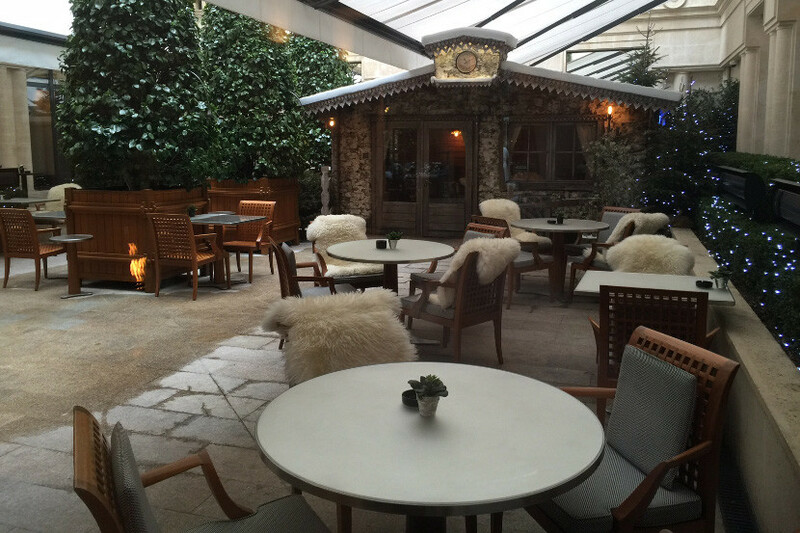 This chalet-style bar has a lovely vibe. As for the hotel’s location, it’s perfecting for visiting the Tuileries Garden, the Louvre and other central Paris attractions. You’re also steps away from some great shopping, with both big-name stores and boutiques lining the streets. It’s about a 30-minute walk to Montmartre as well. One final note: While we were originally planning to stay four nights, utilizing the Citi Prestige Card‘s 4th Night Free benefit, we decided to fly home a day earlier. When we first told them we’d be leaving sooner than planned, they agreed to charge us 615 euros for four nights — not factoring in the 200-euro upgrade, but not wiping the fourth night even though we weren’t staying then. While we were ultimately able to get the bill fixed to this agreed-upon rate, they initially charged us 815 euros per night for the four nights (the 615-euro rate plus the 200-euro upgrade) instead. The staff (understandably) seemed confused by this issue, but after some back-and-forth everything was worked out. Just something to keep in mind if your plans do change and you need to alter the bill. 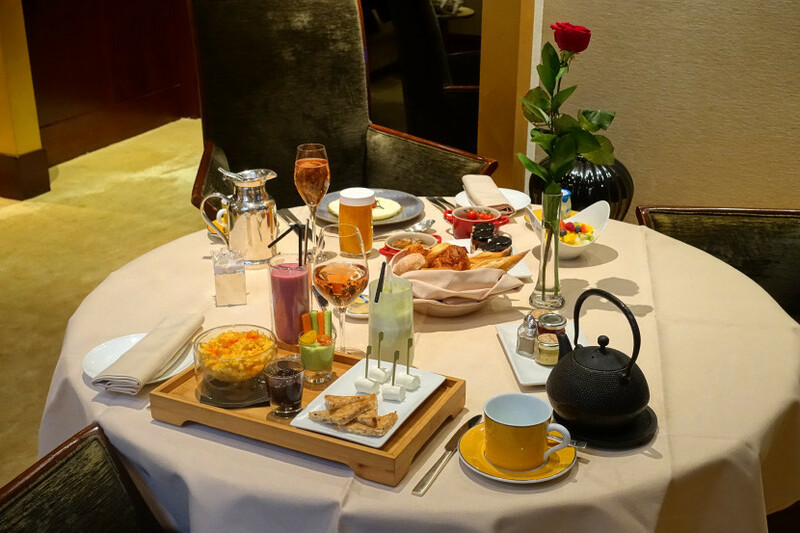 It’s not cheap — whether you pay out of pocket or use points — but the Park Hyatt Paris-Vendôme is a great place to stay in this wonderful city. Our Diplomatic Suite was fantastic, and generous Hyatt Diamond perks like room-service breakfast made our trip especially relaxing and luxurious. 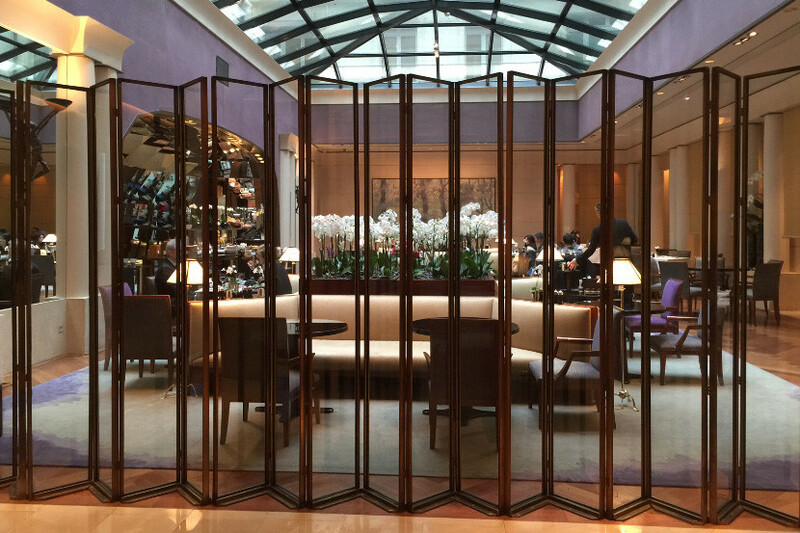 Have you stayed at the Park Hyatt Paris-Vendôme?